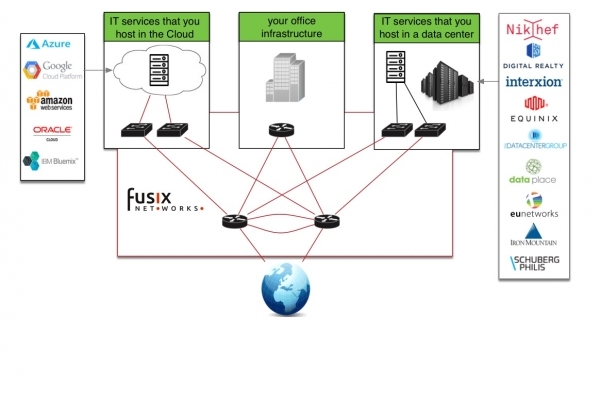 Connect your business locations and IT infrastructure into one secure and manageable network. We help to establish and operate a private network between your offices and the services that you host in a data center and/or in the Cloud network of Amazon, Azure or Google. Your IP data is secured, because it is not traveling across the public Internet.